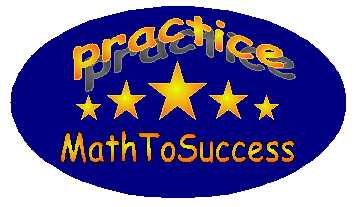 "Practice, practice, and practice" is the founding principle of MathToSuccess! With its unique design and intellectually challenging and innovative questions, MathToSuccess provides each student with abundant opportunities to do practice-review-correction cycles. Stronger math skills are built through these practices. All the questions are dynamically generated from a large pool of question templates. A student can practice as many times as he/she wants and can practice various patterns without the worry of running out of questions. MathToSuccess currently provides the following main packages. GT package is a highly interactive online practice system both for students seeking to enter the Gifted and Talented (GT) program and for students who simply want to develop their critical thinking. It also provides instant evaluation and feedback as soon as the practices are submitted. All the questions are dynamically generated from a large pool of question templates. A student can practice as many times as he/she wants. Math Olympiad Math Olympiad is a highly interactive online practice system for 1-5 graders. There are 40 topics for each grade, and there are various types of challenging questions under each topic. All the questions are dynamically generated, and each practice/quiz can be practiced many times. SHSAT package is designed for students in grades 6-12 to strength their math skills and prepare for the Specialized High School Admission Tests (SHSAT) on the math subject. SAT package is designed for students in grades 8-12 to prepare for college admission SAT test on the math subject. Printable Booklet is designed for students to practice with printable booklets. "Practice makes perfect!" One practice a day! One quiz a week! 20 minutes a day makes a difference! Click to register it now!